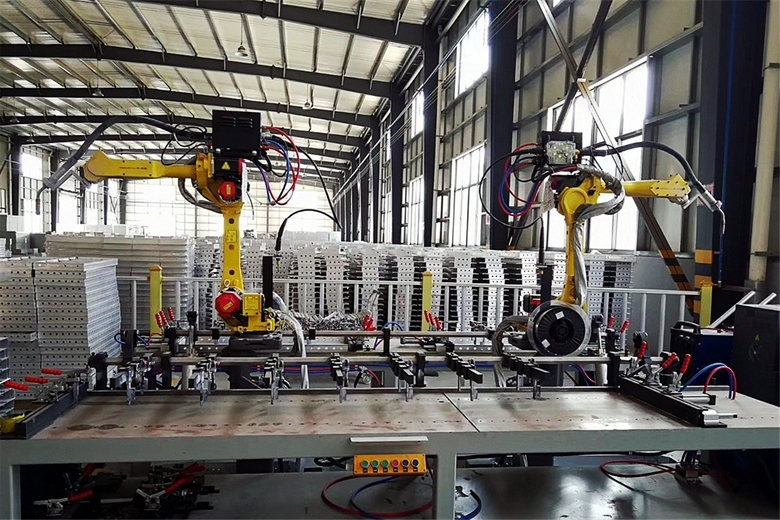 With years of efforts, Aluminum Formwork System has been accepted as a high efficient, economical solution for constructions. 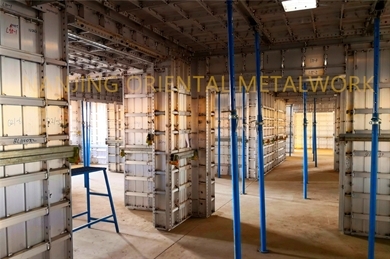 Oriental Metalwork builded full Aluminum Formwork System - "FASTFORM". 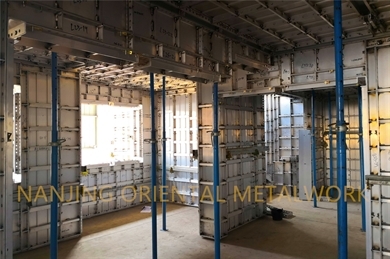 Our system combined Panel system, Shoring system, Reinforcing system as well as accessoires, which could build a closed surface for concrete struction construction. • High versatility, with purpose of saving costs, more than 70% of components are generic. For verious construction designs, no need to spend more for each project. 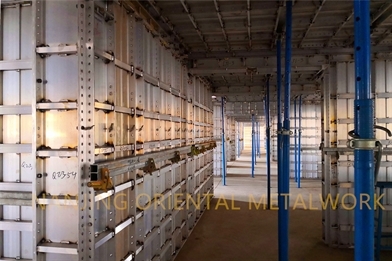 • Full customization, Oriental Metalwork will offer free design service for all customers. With professional tech. team, we will offer very detailed drawing according to project. Before delivery, we will re-assemble all components and measure all sizes to avoid mistake. And even we are able to send engineers to your project to help for any problem. • High reuses, "FASTFORM" is a full aluminum system, during projects, there is very less damage. And with simple maintenance, it could be recycled for more than 200 times. • Your inquiry to our product will be replied within 24hours. • Experienced sales team are able to answer all your inquiries. • 10 years experienced tech. team could meet all your demands. • OEM services could be provided, we are willing to marking logo or paste stickers for you. • Good after-sale service offered, multiple solutions will be provided for problem. • Do you provide design service? - Yes, we have professional design team, and we could provide free design service for you, we will let you know the quantity which will be needed of each item. And we will even assemble for you according to your design. • Can you send people to spot for technique support? - Yes, if you need, we will send two or three engineers to your project. • How will you pack the goods? - We normally pack with plywood boxes or pallets. - We accept 100% L/C at signt, or 30% of T/T in advance and balance after copy of B/L.